It is recommended as a supplement and prophylactic agent in diseases of the joints, spine, osteochondrosis, pain in muscles, sprains. Soothes, relieves stress and fatigue, improves blood circulation, restores activity of nerve and muscle fibers, reduces the severity of pain, removes inflammation. 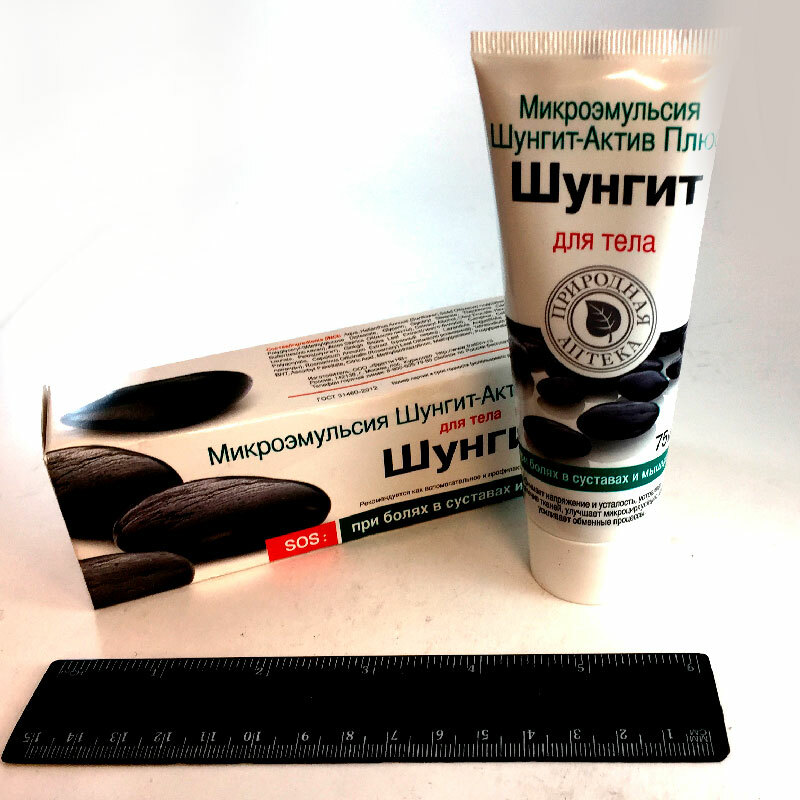 Shungite has a powerful anti-inflammatory and antioxidant effects, blocks the oxidation in cells, thus protecting them from the ravages of free radicals. Red pepper extract activates local blood flow, has a warming effect and resolving. Camphor dilates blood vessels, improves microcirculation, reduces pain, anti-inflammatory and warming effect. Complex of essential oils improve circulation and quickly relieves pain, restores the function of the affected organs and tissues, anti-inflammatory effect.